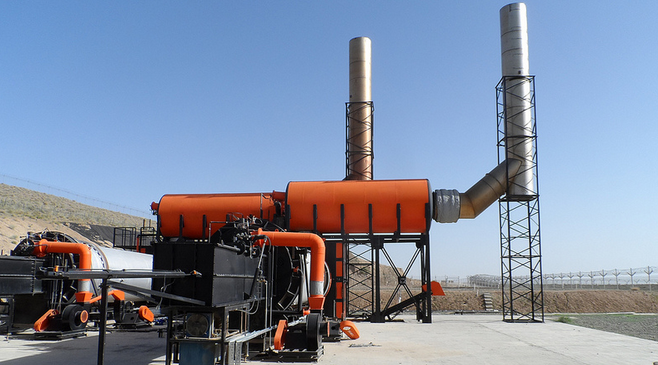 Afghanistan incinerator waste: SIGAR report says $20 million was set on fire. The loading area for the incinerators at FOB Sharana was too narrow. Military regulations require that war-zone installations housing more than 100 individuals for 90 days find a way to dispose of waste besides burning it in open-air pits. (Open-air burning can have adverse health effects.) Some American facilities in Afghanistan attempted to comply with this rule by building incinerators. Four of those incinerators, though, the Special Inspector General for Afghanistan Reconstruction asserts in a new report, were never, ever used—an unmitigated waste of $20 million. The two incinerators shared a common loading area, which was too narrow to allow equipment, such as forklifts, to load the units with solid waste. As a result, solid waste would have to be manually loaded into the incinerators. Also, the ramps to access the ash ejected from the incinerators were inaccessible to the equipment needed to transport it to a nearby pit. Consequently, workers would have to load wheel barrels and manually transport the ash. This situation, combined with electrical deficiencies which posed safety hazards that were never corrected under the contract and were later estimated to cost about $1 million to repair, led FOB Sharana officials to decide not to operate the incinerators. As a result, FOB Sharana continued using open-air burn pits to dispose of its solid waste.